Everything is Somewhere have been commissioned to inspect a potential development site and ascertain the amount of tree cover which will influence the site layout and design. On this particular site there is extensive tree coverage which needs to be taken into account in the design process. To achieve this the site will be flown with a UAV and ground control points will be used to achieve accuracy. The resulting imagery will be used to derive height data as well as a detailed orthomosiac. 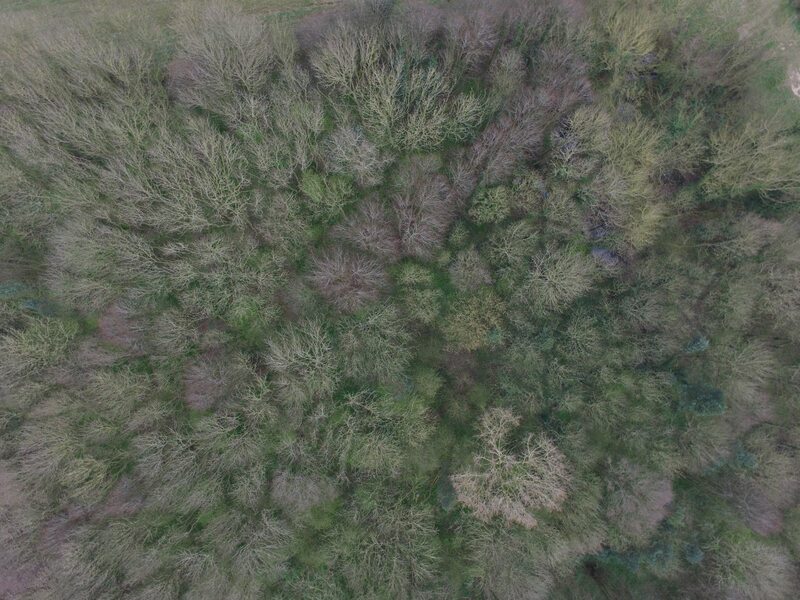 From this the extent of the tree canopies can be defined and mapped using GIS. The height data will be summarised as a contour map and point cloud and together with the tree coverage will be used in combination with other data sets to help formulate the layout and design of the site.